We’d love your help. Let us know what’s wrong with this preview of The Rhythm of Life 2nd Edition by David Adam. Daily office prayers for a cycle of seven days. Each day s prayers include morning, midday, evening and night prayers, in an easy-to-use format. Newly updated, with canticles from Common Worship of the Church of England, as well as prayers of the author s own composition." To ask other readers questions about The Rhythm of Life 2nd Edition, please sign up. I originally bought this book because I started attending a low-church Anglican church and was trying to learn how to use the Book of Common Prayer (which I didn't get too much exposure to during their Sunday liturgy). Of course, at the time, I thought it was a book for private individual prayer instead of the prayers of the whole church (which can very well be done privately). I felt stuck in my daily prayer life, not knowing what to say, and wondering if pre-written prayers could actually be a I originally bought this book because I started attending a low-church Anglican church and was trying to learn how to use the Book of Common Prayer (which I didn't get too much exposure to during their Sunday liturgy). Of course, at the time, I thought it was a book for private individual prayer instead of the prayers of the whole church (which can very well be done privately). I felt stuck in my daily prayer life, not knowing what to say, and wondering if pre-written prayers could actually be a good thing. I found much-needed guidance in this book as my first introduction to monastic-like rhythmic prayer. This second edition is very similar to the first. It's a nice, handy 145 page glossy hardback guide to prayer. It has a simple "rule" for morning, midday, evening and night prayers for each day of the week. 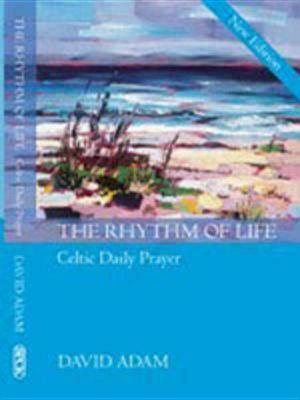 David Adam, accomplished author on Celtic spirituality who was vicar of the Holy Island of Lindisfarne for thirteen years, draws from several sources, some historical and others contemporary, to color the daily rhythm. Though it is geared for communal prayer, it is still usable for those who This second edition is very similar to the first. It's a nice, handy 145 page glossy hardback guide to prayer. It has a simple "rule" for morning, midday, evening and night prayers for each day of the week. David Adam, accomplished author on Celtic spirituality who was vicar of the Holy Island of Lindisfarne for thirteen years, draws from several sources, some historical and others contemporary, to color the daily rhythm. Though it is geared for communal prayer, it is still usable for those who are alone. Each day of the week resounds with a specific theme. Sunday is resurrection; Monday reflects on creation; Tuesday is shaped by incarnation; Wednesday is filled with the Holy Spirit; Thursday thinks about community; Friday gazes at the cross; and Saturday recalls the fellowship of the Saints. There are short litanies; Psalm recitations; small Scripture readings; praises; and collects. About ten years ago I obtained copies of the earlier edition for everyone living at home and we used it for a year in family worship. And I have recently picked up the second edition and utilized it in my personal daily devotions. The main differences between the first edition and the second are visual. Not only has it been turned into a glossy hardback, but the cover is a soft set of blues with a watercolor beach scene. The art work between the covers has changed as well, leaving behind the more Celtic textures and taking on an abstract pencil sketch. The textual changes are minor, mainly moving away from the "Alternative Service Book" of 1990 and moving toward "Common Worship: Daily Prayer". If you're looking for a tool to help keep you on track with daily prayer, "The Rhythm of Life" will work. If you're in need of a break from your normal devotional routine, this prayerbook would be a great way to give you a temporary change-up. Or maybe your in a communal setting, such as a deployed military unit, college fellowship, or retirement facility, and you have compatriots who desire to pray together, this is ideal for such settings. The volume will fit in your purse, slide into your satchel, and unobtrusively sit on your desk. This little prayer book is ideal for anyone who would benefit from a structure or routine to keep them "praying without ceasing". I highly recommend it! A nice, handy 136 page paperback guide to prayer. It has a simple "rule" for morning, midday, evening and night prayers for each day of the week. David Adam draws from several sources, some historical and others contemporary, to color the daily rhythm. Though it is geared for communal prayer, it is still usable for those who are alone. Each day of the week resounds with a specific theme. Sunday is resurrection; Monday reflects on creation; Tuesday is shaped by incarnation; Wednesday is filled wit A nice, handy 136 page paperback guide to prayer. It has a simple "rule" for morning, midday, evening and night prayers for each day of the week. David Adam draws from several sources, some historical and others contemporary, to color the daily rhythm. Though it is geared for communal prayer, it is still usable for those who are alone. Each day of the week resounds with a specific theme. Sunday is resurrection; Monday reflects on creation; Tuesday is shaped by incarnation; Wednesday is filled with the Holy Spirit; Thursday thinks about community; Friday gazes at the cross; and Saturday recalls the fellowship of the Saints. There are short litanies; Psalm recitations; small Scripture readings; praises; and collects. About ten years ago I obtained copies for everyone living at home and we used it for a year in family worship. And I have picked it up and utilized it in my personal daily devotions. I recently took it up again. Beautiful little daily prayer book written by the author during his time as Rector of Holy Island, Lindisfarne. It had sat waiting on my shelf for perhaps a couple of decades. It is based on a seven-day cycle, with a different liturgical theme for each day: Resurrection, Creation, Incarnation, Holy Spirit, Community, The Cross and The Saints. The prayers draw on the established tradition but Adam is a poet in his own right so there is some original material too. I moved on to this one after spend Beautiful little daily prayer book written by the author during his time as Rector of Holy Island, Lindisfarne. It had sat waiting on my shelf for perhaps a couple of decades. I moved on to this one after spending nearly three months with one of Phyllis Tickle's prayer books. This one is more personable - warmer somehow. This sense was helped in no small part by a more open page layout in a pocket-sized book featuring some wonderful Celtic illustrations that I grew to appreciate almost as much as the prayers themselves. This is not a book to be read just once, rather a book that is read gradually through the year, with new thoughts and foci for each day and season. Even though the Mennonite Church has started to add some liturical elements to it services, it is a relatively new experience for me a life-long Mennonite to experience the liturgical traditions of Anglo-Catholocism albeit with some Celtic overtones. This book is a spiritual gem. For those not brought up in a Christian tradition that practices the "daily offices" or those who are overly familiar with one denominational "order" this is an accessible and framework of daily prayer, broadly based on the Celtic tradition. One of David Adam's best. David Adam is one of the best-loved figures in Celtic Spirituality. He also writes poetry and teaching material for churches. Living on Holy Island for thirteen years he has a special love for the saints of Iona and Lindisfarne. He now lives on land that was once given to St Cuthbert. Librarian's note: There is more than one author on Goodreads with this name.